This 341-word, middle-of-funnel food and nutrition sample post was written by Verblio (formerly BlogMutt) writer Cathy H. As an avid food writer, her writing experience includes serving as a features reporter in the newspaper industry. There, she introduced readers to new restaurants, outstanding home cooks, and culinary tips. She also showcased the farm-to-table offerings of a Gulf Coast farmer’s & fishermen’s market. In addition, her writing experience includes crafting blogs that help readers find the best restaurants in their area. 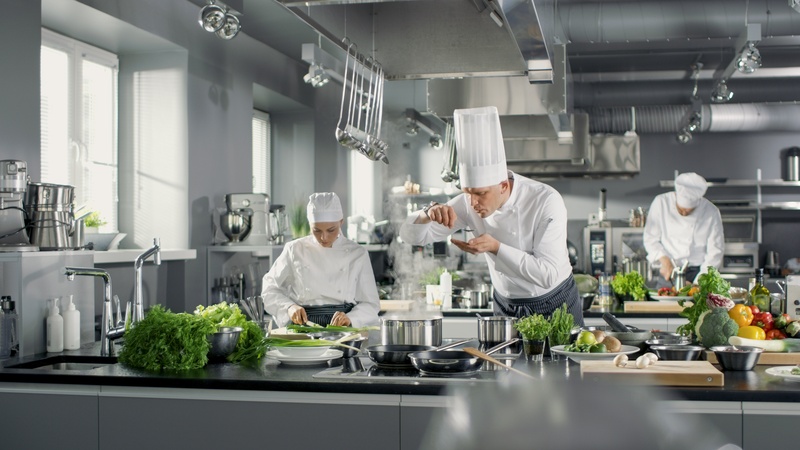 Are you looking for content for your restaurant’s website and want to prove knowledgeable about common dining questions like this post on allergens? Verblio writers like Cathy can help you craft delectable posts. These days, diners have to be careful when eating out. Food allergies seem to be increasingly prevalent, as anything from seafood and soy to nuts, wheat, and dairy can be problematic. Eating these foods can irritate digestive issues or even send a sensitive diner into a life-threatening anaphylaxis. That’s why it’s important for restaurants to be sensitive to this issue and offer patrons clean, allergy-friendly fare. Of course, the best way to protect your guests is by starting in the kitchen. Your menu should include a variety of options that enable patrons to dine allergy-free. That includes egg alternatives and gluten-free items. If you offer fish and shellfish, make sure your menu includes alternatives, as well. Be sure to include dishes that give diners choices other than those with peanuts or tree nuts. You can also go a step further. Flours and other ingredients can have nuts in them. You also want to note on your menu if a dish contains nuts, as these allergies are extremely dangerous. You can also make cooking with allergen-friendly oils, such as coconut, grapeseed, or olive, part of your practice. Another way to ensure sensitive patrons an allergen-friendly meal is with technology. Modern POS systems incorporate a button used in the front of the house that scrubs orders for allergens. This sends a message to the back of the house and also notifies the manager to ensure alternatives are used. POS technology also allows the staff to let the customer know about the issue and what is being done to solve it. Setting equipment aside at the back of the house for allergen-specific use allows you to avoid contaminating dishes with that allergen. You can use color-coded equipment, such as prepware and plateware. It’s one more way to safeguard your sensitive guests. By enlisting staff to take the ServSafe Allergens online course, you’ll arm them with the vital information necessary to ensuring guest safety. With that knowledge, they’ll feel confident in their ability to address allergen issues.